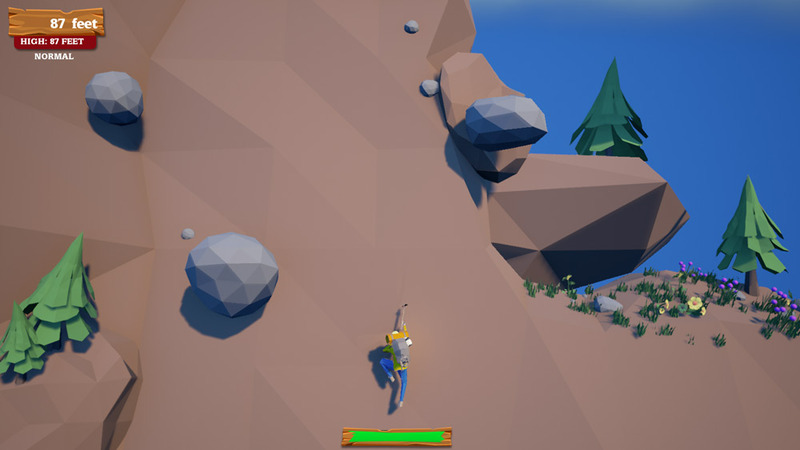 "A simple yet addictive rock climbing simulator"
Climb Fall Repeat is a simple but very playable game where you play as a mountain climber making his way up the mountain in the middle of a rock avalanche. The objective is to see how far you can climb without being smashed off the mountain by the falling rocks, you have a health bar and can afford to take a few hits from the rocks but too many and you will find yourself falling right back to the bottom of the mountain and having to start from the beginning all over again. 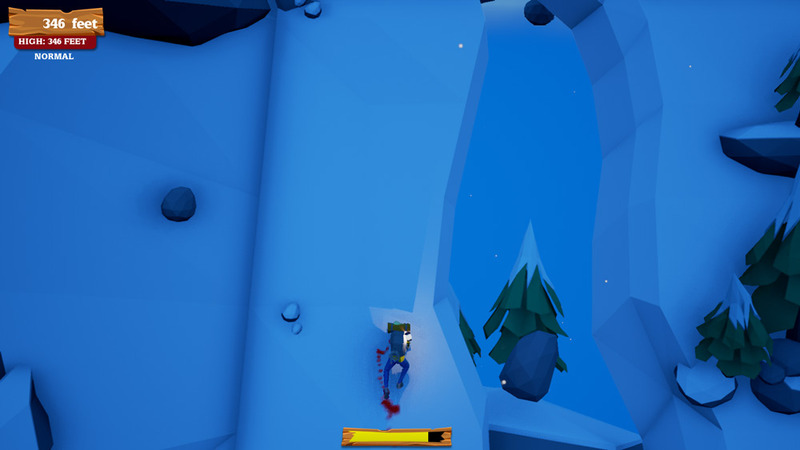 Climb Fall Repeat has low poly but very inviting graphics and the simplicity of the game only adds to the charm of it, a nice touch is also after you have taken a few hits from the rocks is that you will notice blood coming from your climber as he continues on his journey. 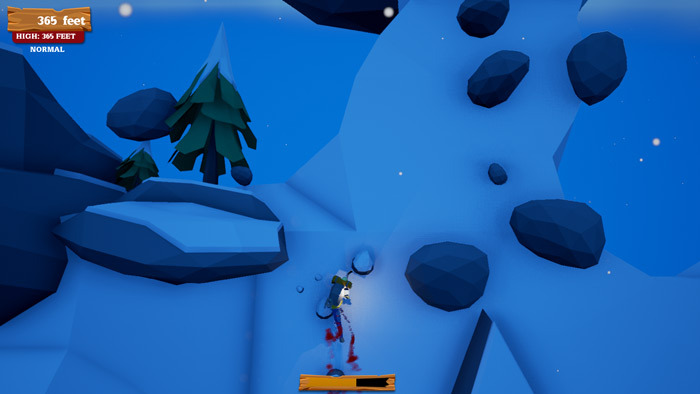 There is no hugely competitive element to the game however trying to beat your high score which is recorded by the amount of feet you have managed to scale up the mountain is a lot of fun. 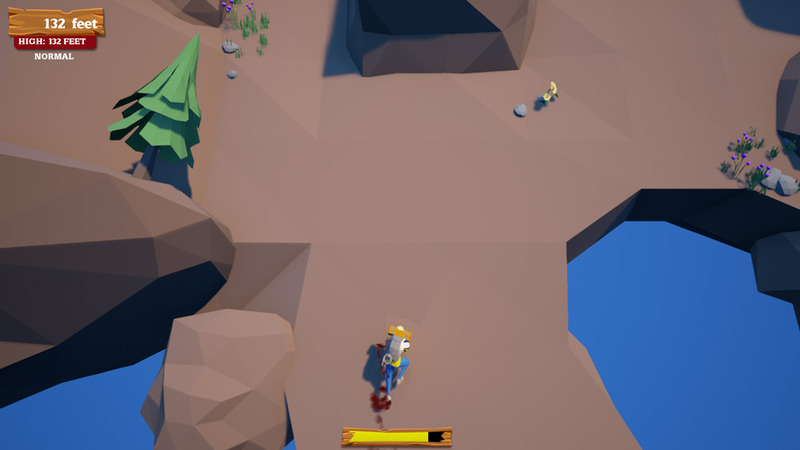 The only issue here is after playing it too much it does start to become a little repetitive if you play for too long but it’s also one of those games that’s great for just picking up and enjoying for 5 or 10 minutes. You can download Climb Fall Repeat here for free.